Recently, a friend gave me a copy of a book written by some local professors entitled Ancient Animals Locked in Louisville's Rocks: A Guide for Fossil Hunters. The book was published by University of Louisville Printing Services in 1995. It is out of print now but one can find it for sale used on the Internet at times. The book is written is a nice style for amateur geologist/paleontologist. 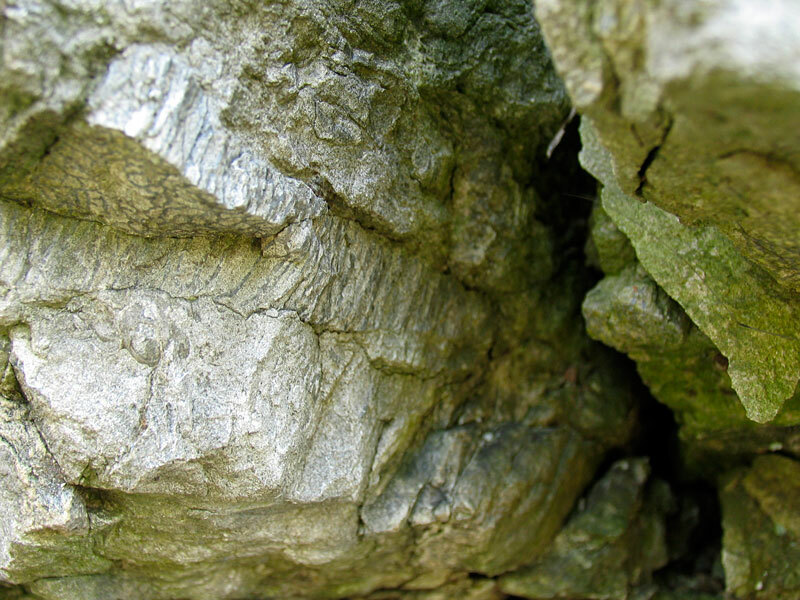 It covers the four periods of Louisville's exposed geology: Ordovician, Silurian, Devonian, and Mississippian. Each section discusses the period, fossils found there, formations and a road trip guide. The Silurian section takes about a place in Louisville one can view a paraconformity. Described in the book as place in the rock which appears to be seamless boundary between two time periods but on closer study sections of geological layers are missing. 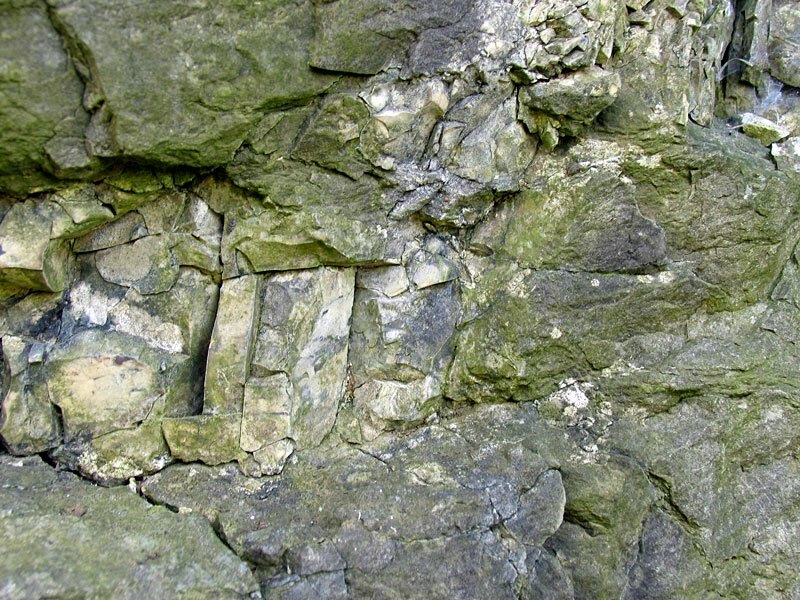 In this case the boundary is between Silurian and Devonian rock. The Upper Silurian and Lower Devonian Periods are missing (25 million year gap -- 422 to 397 million years ago). 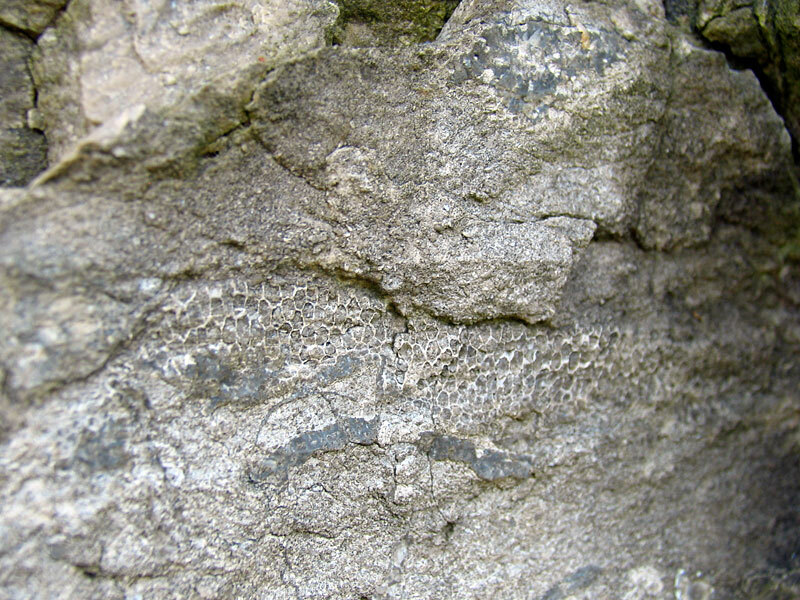 The layers shown are Louisville Limestone covered by Jeffersonville Limestone. 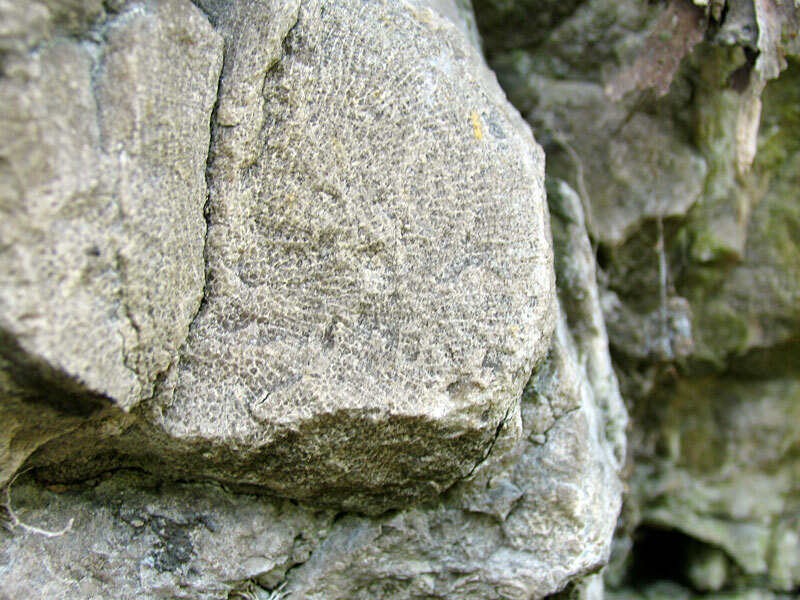 Image below is of Halysites coral colony which is the index fossil for Silurian Period. The location to see the paraconformity is off the sidewalk coming from Grinstead Drive and going up the hill on Lexington Road. 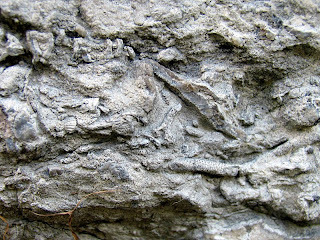 I found the Silurian Period fossils but was having trouble seeing the Devonian layer. Some sort of coral layer. This last image has a number of branching corals and one brachiopod. 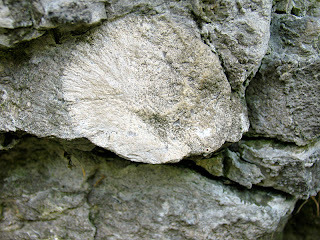 The one branching coral reminds me of a Devonian Thamnoptychia. The brachiopod does not look familiar though.